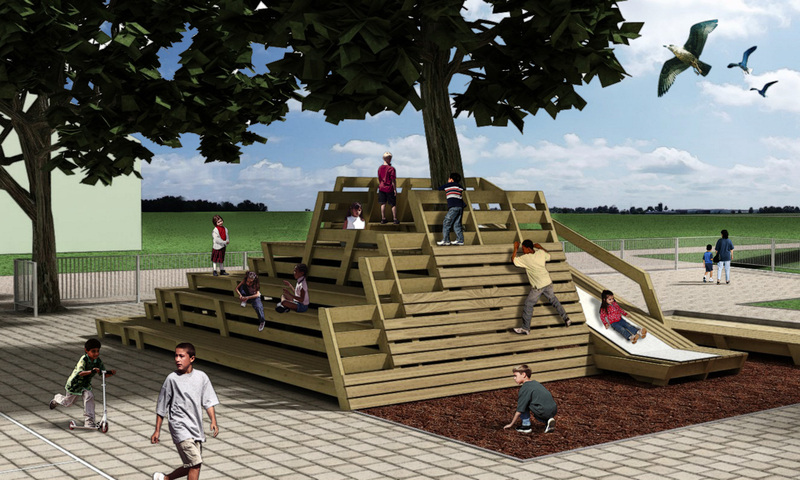 For this schoolyard, we placed a multidirectional playobject around the central tree on the square. 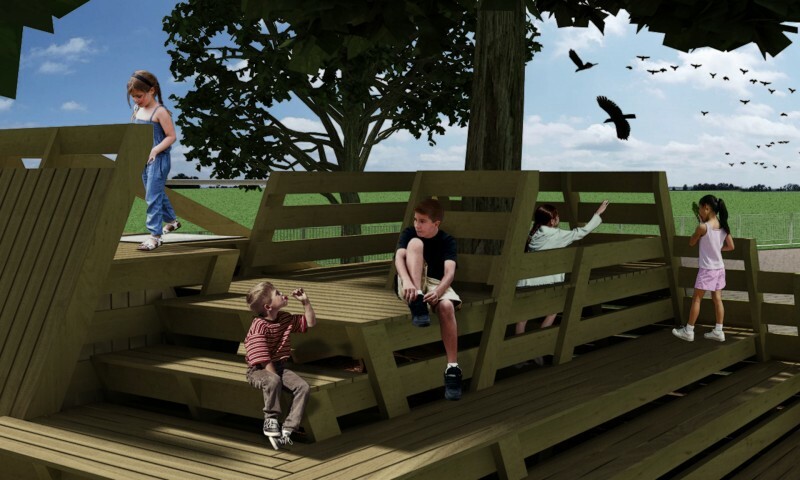 Besides being an interesting landscape to explore for children and other freespirited individuals, the way the object is shaped and how it is placed will generate specific uses of the adjacent playground. 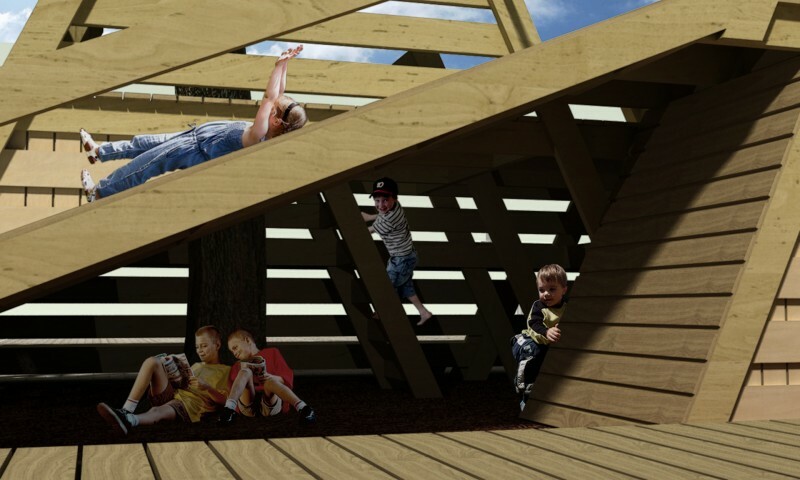 The steps next to the playingcourt will be used as a theatre, the inclined surface that roots in woodchips will invite children to climb and slide down. 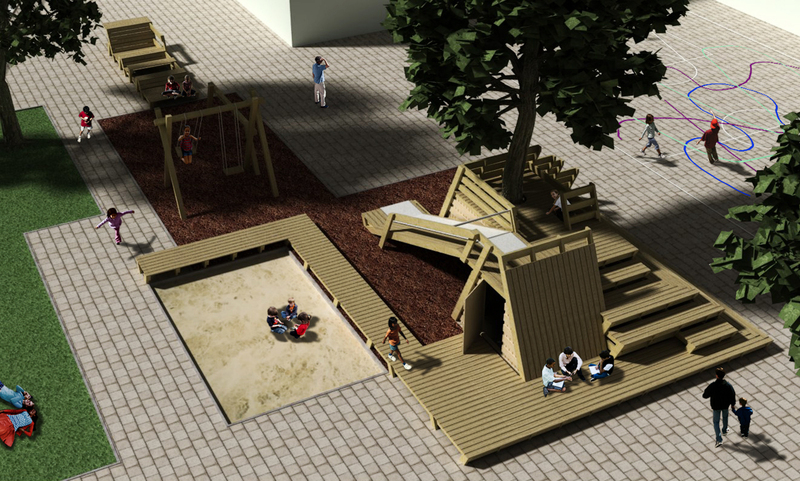 There is a world underneath to explore, a deck to climb and the Principal can even store all the tricycles and shovels. Last but not least, parents can appropriate the structure while waiting for their sprouts, gossiping away right underneath the tree, the way it went for centuries. 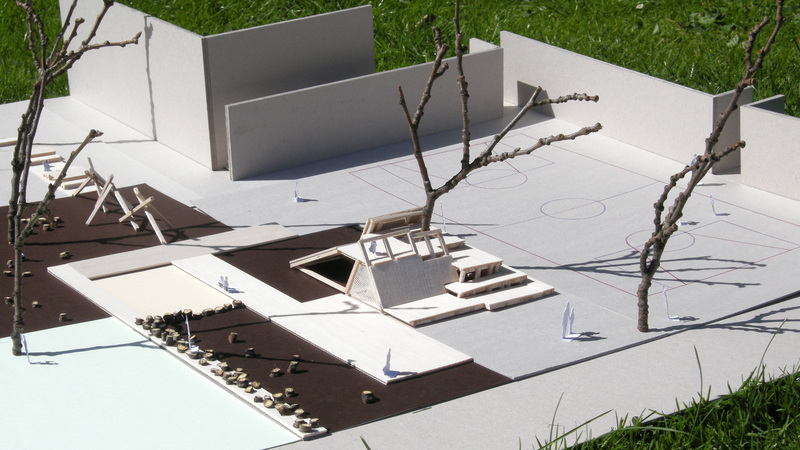 For this schoolyard, we placed a multidirectional playobject around the central tree on the square. 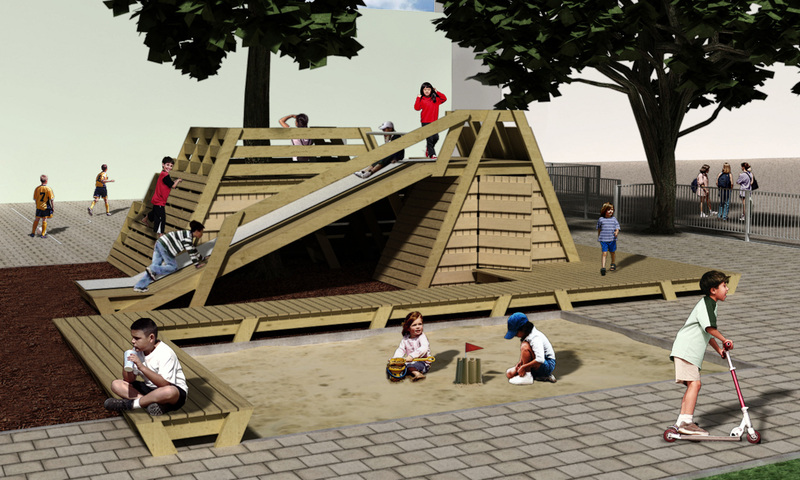 The way the object is shaped and how it is placed will generate specific uses of the adjacent playground.